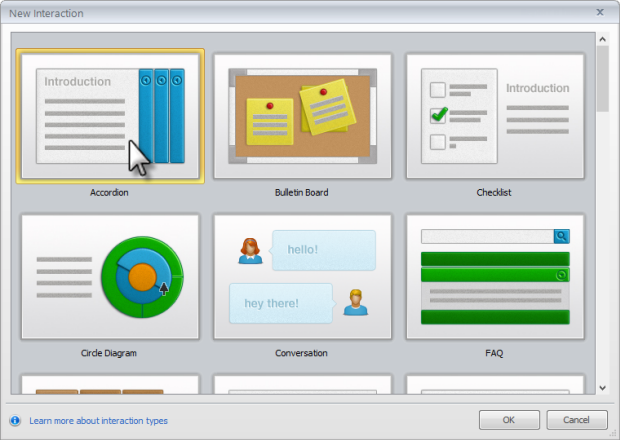 In this tutorial, we'll explore how to begin a new Articulate Engage interaction. On the Engage launch screen, click New interaction. Click the round Articulate button in the upper left corner, and choose New. 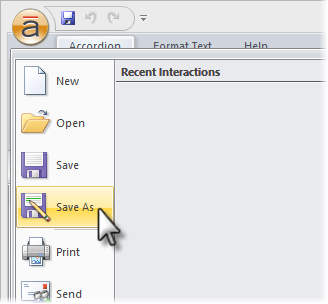 Then choose the type of interaction you want to create and click OK.
Click the round Articulate button in the upper left corner, and choose Save or Save As. 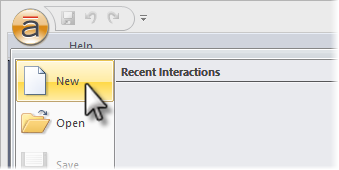 Also, if you attempt to close Engage without first saving your interaction, you'll be prompted to save it. To avoid unexpected behavior, save interactions to your local hard drive (typically your C: drive). 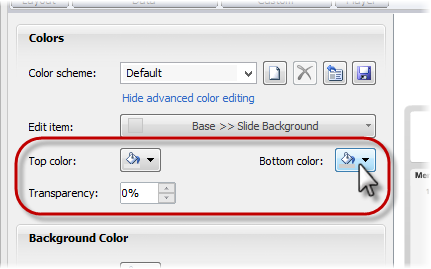 For more tips on managing your interaction files, see this tutorial. 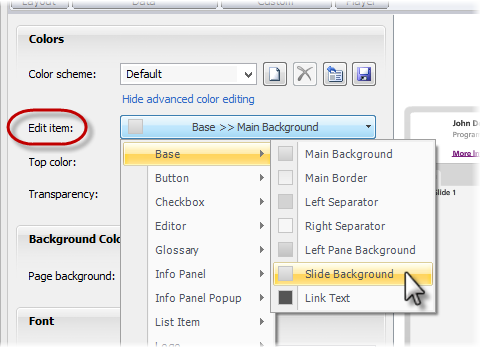 If your interaction will be part of a Presenter course, you can also create it from within PowerPoint. See this tutorial for details.